Some reflections on Finger Ring Linking! 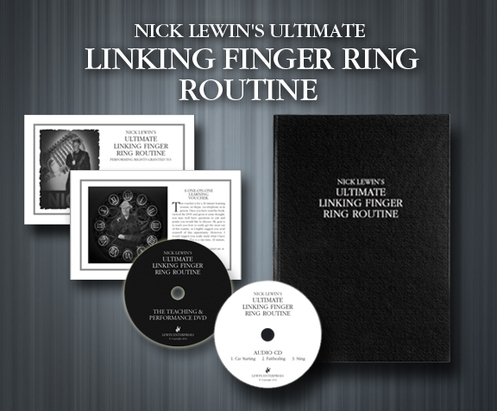 It is with a great sigh of relief and also pride that I have concluded the one-year project of releasing my ‘Ultimate Linking Finger Ring Routine’ today. The book is written, edited, illustrated and published. The CD is recorded and re-produced. The DVD is filmed, edited, mastered and burned. It was a true labor of love. It was a lot of work, to try and do full justice to describing this eleven-minute chunk from my show. However, it has taken me over 35 years to get this trick right and I was determined to take the time and effort to do it right. This particular piece of magic has done very well for me and I wanted to repay it in kind. The trick was the brainchild of the fine magician, dedicated practical joker and famous bandleader Richard Himber. Or was it? There has always been a powerful current of opinion from knowledgeable magicians that it was actually created by mathematically genius magician Persi Diaconis. I suspect it was something of collaboration, but Mr. Himber’s name was the one that was firmly attached to it from the start. The first time I heard about this effect was when I was a kid, and magicians described (in almost hushed voices) the reaction to it when the great Al Koran performed it. Sadly, I never got to witness Koran presenting it. In fact I never saw anyone perform it before I added it to my show. There were very few routines in print in those days and after reading all of the ones that were available in the Magic Castle library, I then created my own from scratch. I had hated all the ones I had read! The reason I wanted to perform the trick was simple; Marvyn (Mr. Electric) Roy told me that I should! When I was 21 years old I worked a gig with the awesome Marvyn and Carol Roy and during a late night breakfast at Denny’s, Marvyn created an entire act for me that consisted of linking things together. I was to become ‘Link Lewin’ (not a bad name actually) and the centerpiece of this show was to be the Himber Linking Finger Rings. Well, I never created an entire ‘linking’ show or changed my name to Link, but the seed was sown and I was determined to perform this trick. It was one of the best decisions I ever made. There are few tricks in magic that create the emotional response that the Linking Finger Rings do. I had been introduced to an effect that would shape my entire magical career. The two things I was determined to make central to my routine were that I would never use a plant to loan me a ring and that I would never link just three rings. The more I looked at the routine the more I realized that ‘borrowing’ a phony ring from a stooge in the audience was not the way to create the true miracle that was possible with the effect. The trouble with using a stooge is that people talk (especially after an effect like this) and if you link just three rings then all the attention is on the center ring. I wanted to perform the effect anytime, anywhere and give the appearance of freely linking four or five rings in a chain before having them examined. I still believe these are two vital points for the performer to overcome in presenting this effect. The routine was originally created and shaped during my Magic Castle performances in the 70s. It was also the key to my first national television appearance on ‘The Merv Griffin Show’ in 1979. Two years later I was asked to perform it for Orson Welles during the star studded Hollywood Foreign Press tribute to Mr. Welles. That remains one of the most memorable engagements of my career. Since then I can only guess how many times I have linked and unlinked spectators finger rings. I was even nominated for an ACE award for its presentation of it on a Cable Television appearance. I have performed it in clubs, bars and theaters until it became the most vital single ingredient in my act. One tiny ring! As I slow down from my crazed performing days, I am now excited to see if I can capture the essence of this routine and pass it on to other performers. It took me a year to do it (along with my brilliant graphic designer friend—Steve Mitchell) and now I am excited to know I have succeeded: I am even more excited to see what other performers can add to the mix when they perform it. I have also booked my first Magic Castle date in 28 years from July13th-15th in the Peller Theatre. This will bring a circle to completion when I perform the Linking Finger Rings there again. This semi-retirement thing looks like being fun! I have recently taken some ‘time out’ to create a couple of new web sites, one of them just for magicians. 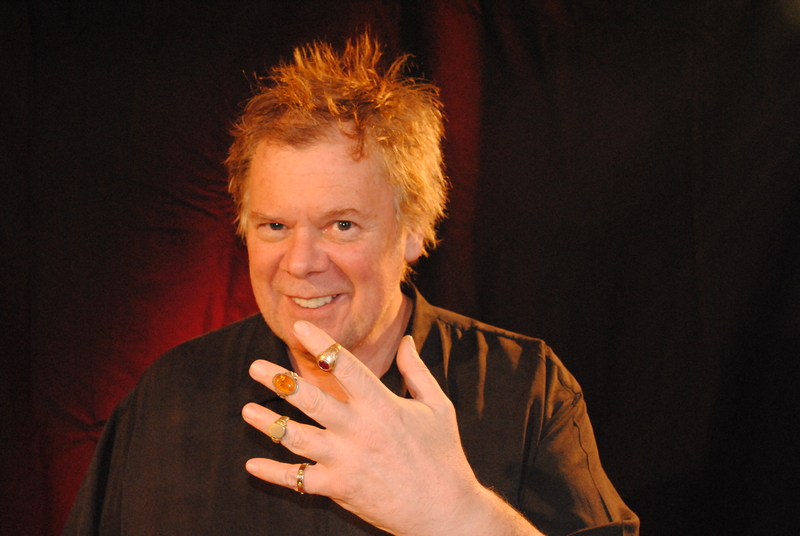 I am uploading some really cool video of conversations with master magicians taken from my 90s Las Vegas interview show ‘The Entertainment Files.’ Currently featured is an interview with Mac King. 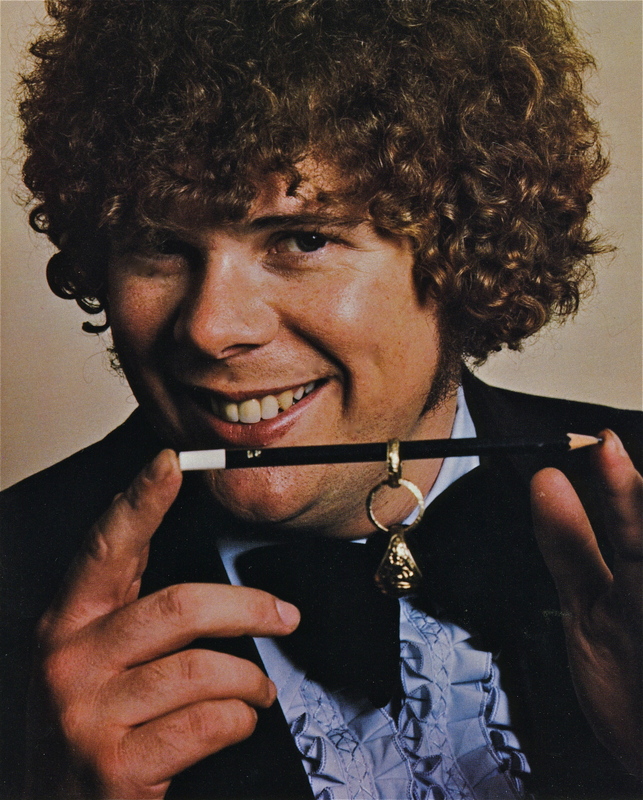 Interviews with other magic icons such as Max Maven, Lance Burton and Jeff McBride will follow. Please check out the sites by logging into www.nicklewin.com and bookmark it to catch the updates. I think you will enjoy them. ~ by Nick Lewin on June 30, 2012. I really enjoyed reading your article. What do you tihnk of this linking ring set? I am a big fan of everything David Regal does! It is a very nice set of rings. My package is all about the routine! The effect is such a strong one, when done correctly, anyone who wants to build a reputation should buy both David’s Rings and my routine…. They are a mighty fine double punch!